Cosplay has become huge over the past few years and I’ve never experienced going to an event completely dressed up as someone else as if it were Halloween – but not Halloween. I wasn’t sure what to expect, but what I did learn was that there are so many people that are passionate about characters and becoming them. By going to ConnectiCon in Hartford, CT I was able to see first hand the creativity and talent that some people put into making their cosplay costumes and I found it inspiring. I’ve always wanted to be Snow White for Halloween but for one reason or another never was until now. 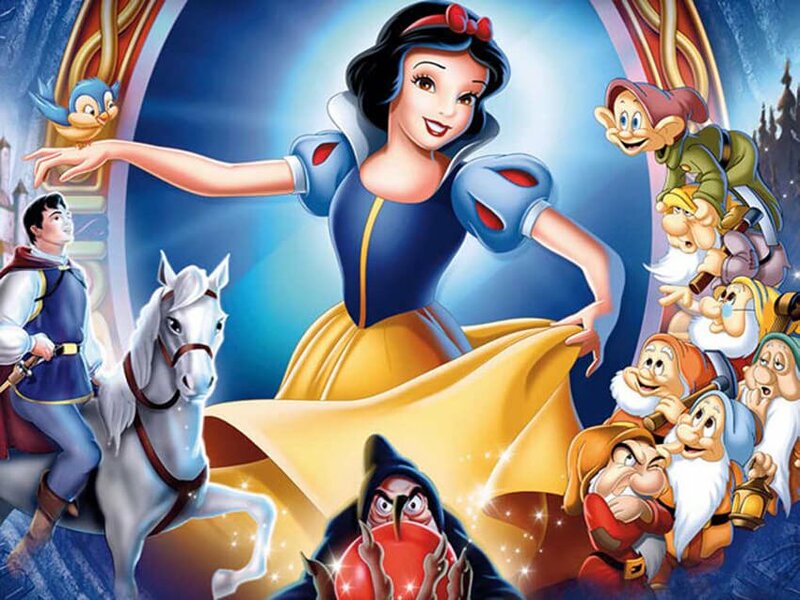 My hair just happened to be the same length and color as Snow White’s, which was perfect! Here’s a little recap of me (Jen) becoming Snow White. 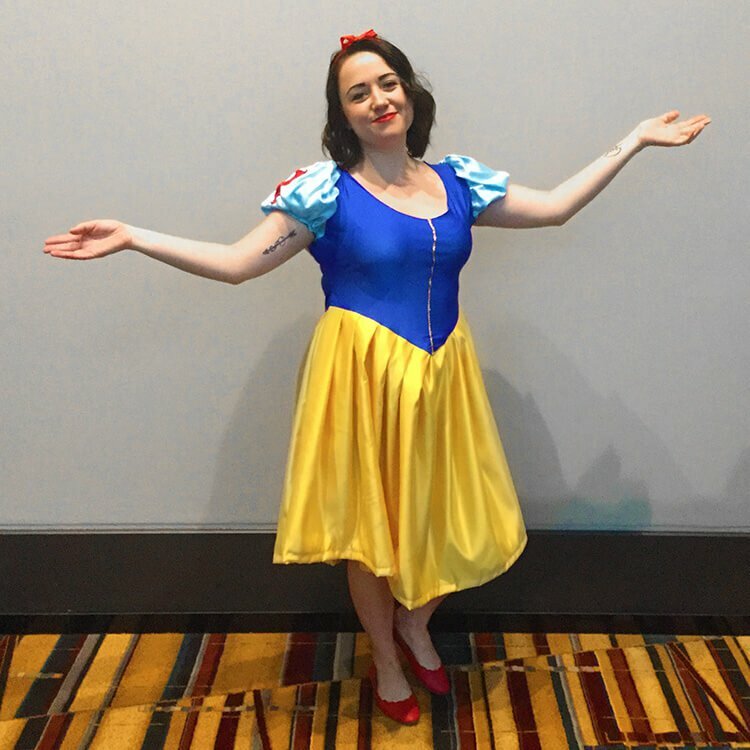 When I found out that my co-workers and I would be going to ConnectiCon, I immediately knew that I wanted to be Snow White and DIY the entire costume. I started looking online for photos that I can use as reference for making the costume. 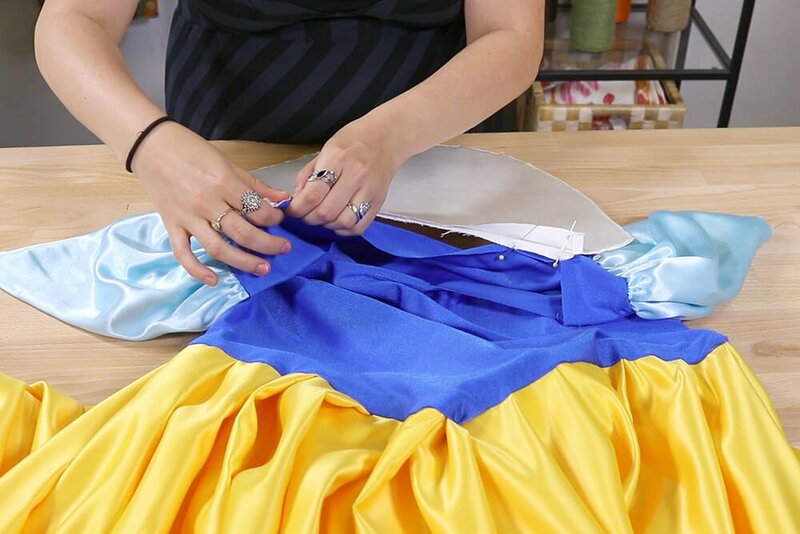 There are different variations of a Snow White costume but I wanted to stay as close as possible to the original costume design from the animated movie, but with a shorter hem because it was July and I wanted it to be a little more breathable. I made the collar but decided to not include the cape because of the limited time I had to make this costume, but I think it still worked! Plus Snow White doesn’t always have her cape on. 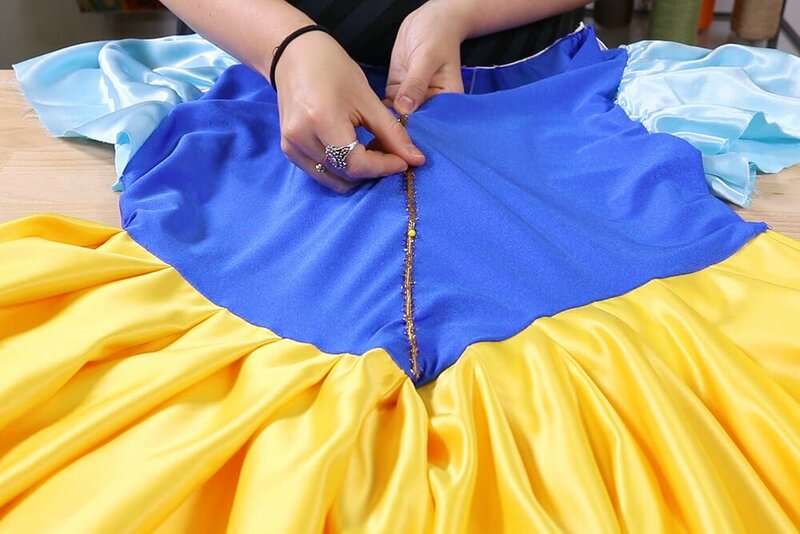 Snow White’s dress consists of red, yellow, royal blue, light blue, and white. 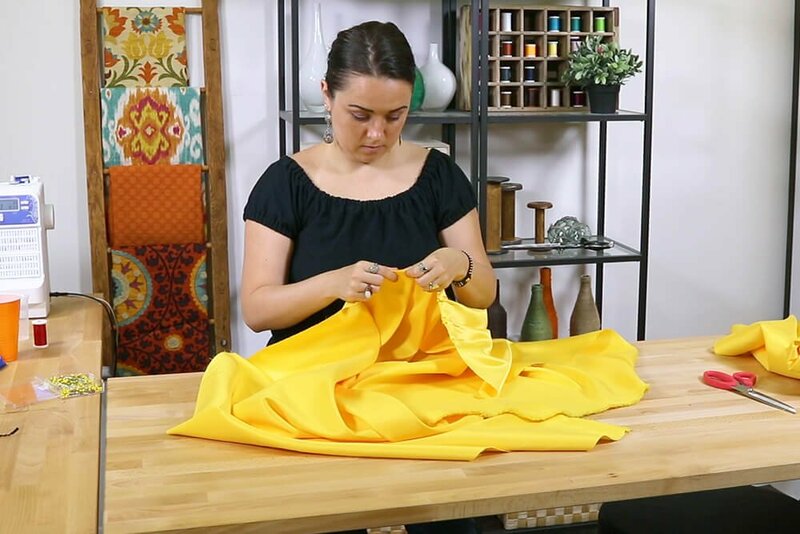 For the skirt portion of the dress, I used yellow matte satin, for the top I used 6 oz. royal blue poly spandex, for the sleeves I used scraps of a light blue satin that I’ve had forever, and for the red cutouts on the sleeves I used red matte satin. The collar is made out of white matte satin with fusible double-sided stabilizer. 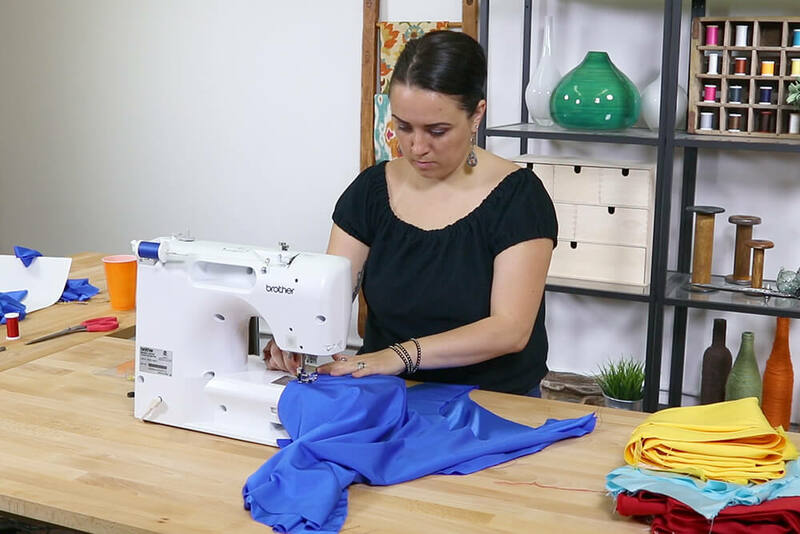 The trim is also something that I’ve had for a while and thought it would work well going down the front of the bodice. I decided not to line this costume because the materials were heavy enough and to be honest, it really didn’t need it. 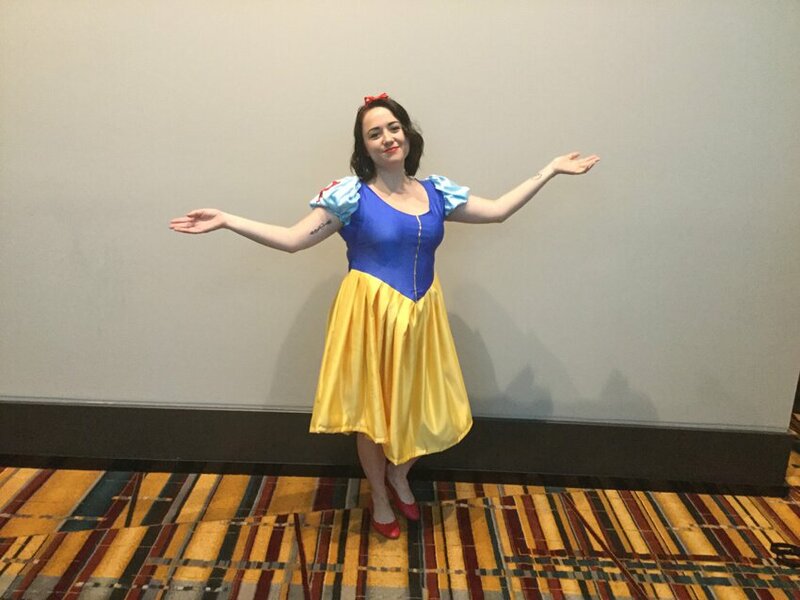 Overall, this Snow White costume took me about 4 hours total over the span of 1 week. 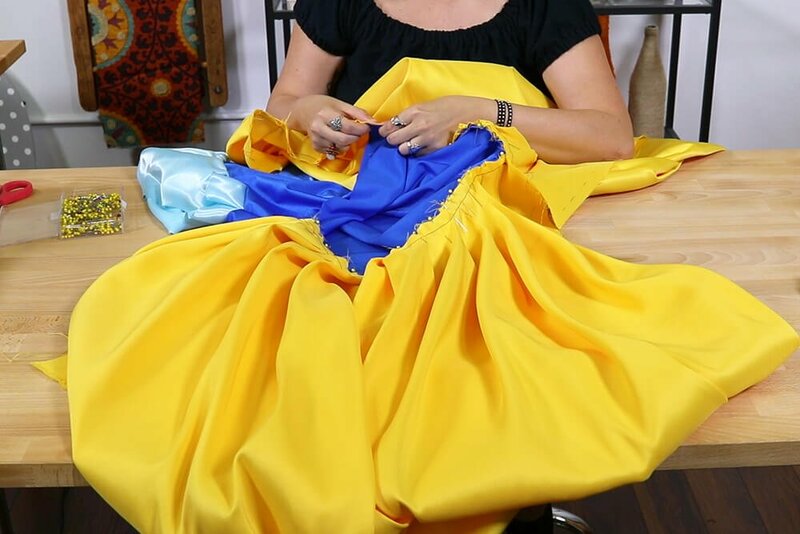 The part that took the longest to complete was probably the pleating (as usual). I did not use a pattern for this costume, I did it free hand. 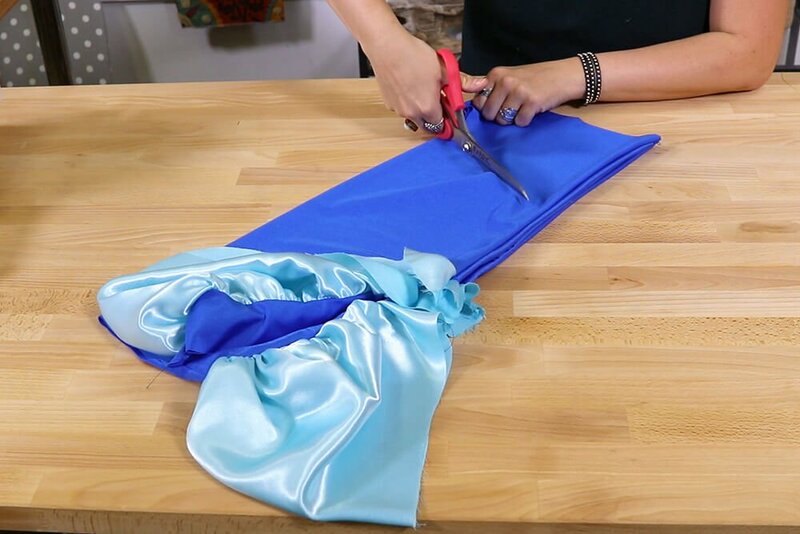 Draping this pattern would also help especially for the skirt portion. 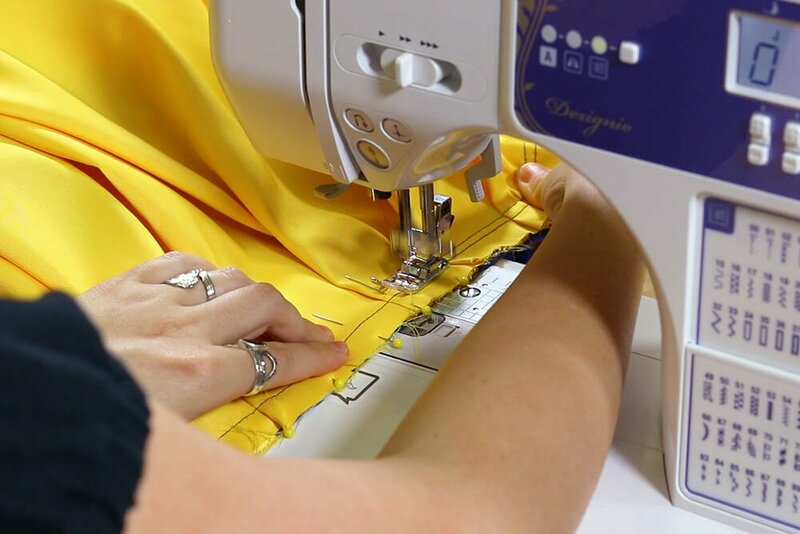 You may be able to find patterns online as well. 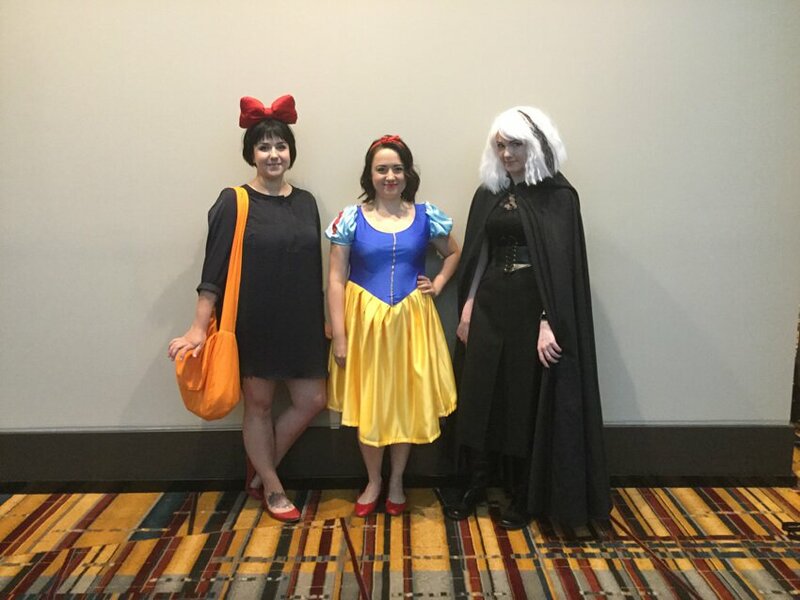 I was very pleased with how my Snow White costume came out! 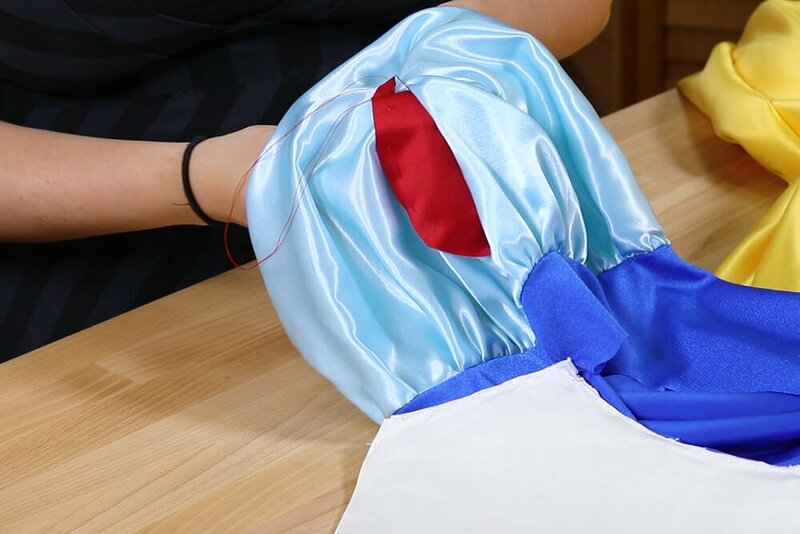 To see more from our trip to ConnectiCon click here to check out our first cosplay experience and the characters we chatted with about their DIY cosplay costumes! 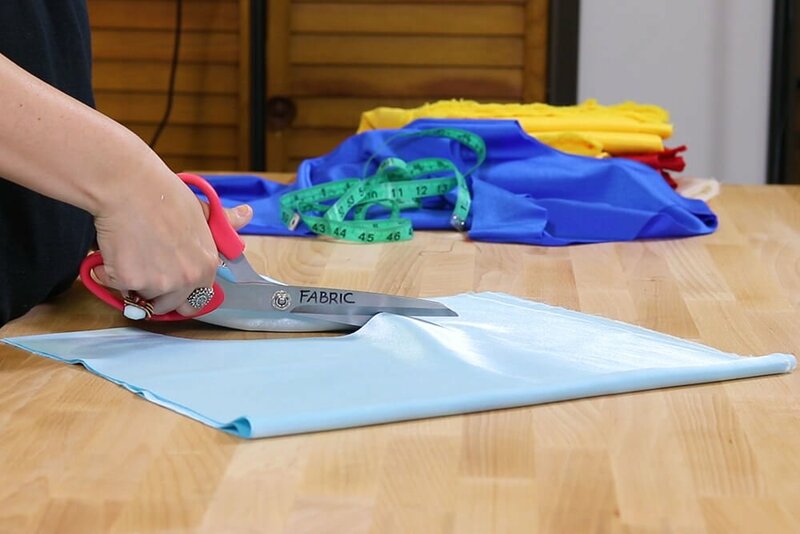 Find more cosplay fabrics here!